Hard rock super group The Dead Daisies are preparing to release their third album, ‘Make Some Noise’. Before that, they return to the UK and Ireland for some live action, starting in Dublin tomorrow (Wednesday 20 July) with a combination of four headline shows and three festival appearances over the space of a week. PM: It’s great to catch up with you again. I’d like to start by congratulating you on the new album, ‘Make Some Noise’. It’s a great slice of rock ‘n’ roll. MM: Thank you so much. We are very proud of it, and we are pretty excited about it as well. To me, the title summarizes the overall feeling of the album: five guys just wanting to get together and play music, the way they want it to play it. Is that a fair summary of both the band and how you approached recording the album? Pretty much… Barely a year had passed, and we were following ‘Revolucion’ (our previous album) and wanted to focus a bit more on guitar riffs and coming up with titles, melodies and topics that are relevant, and reminiscent of the sound and songs from the Seventies. Also, the fact that Dizzy Reed had moved on to rejoin Guns N Roses, we were minus keyboards, so the focus became guitar heavy riffs. The album has a very live and organic feel to it: you can really feel that you guys were having fun while recording it, but at the same time not wanting it to be over-produced. Was it important to you to capture the obvious energy that you were feeling and generating and reproduce it as faithfully as possible? Yep! That’s exactly what we spoke about before we started the recording process… Again referring to the way things were done in the Seventies… The industry and the recording process has become to digital and really sterile in my opinion, so we wanted to get away from that, we all got in the same room and tracked together to capture some of that live magic that happens. You’ve recently undergone a line-up change, with your old friend and former Whitesnake bandmate Doug Aldrich joining for this album and tour. It must have been good to be re-united with him, and in an environment where you both have more control over your own destinies: to you personally, what has Doug brought to the table? Well, I’ve always been a fan of Doug’s, and also we have been friends for a very long time. We got lucky when I called him and he expressed interest and was able to change his schedule to be with us. 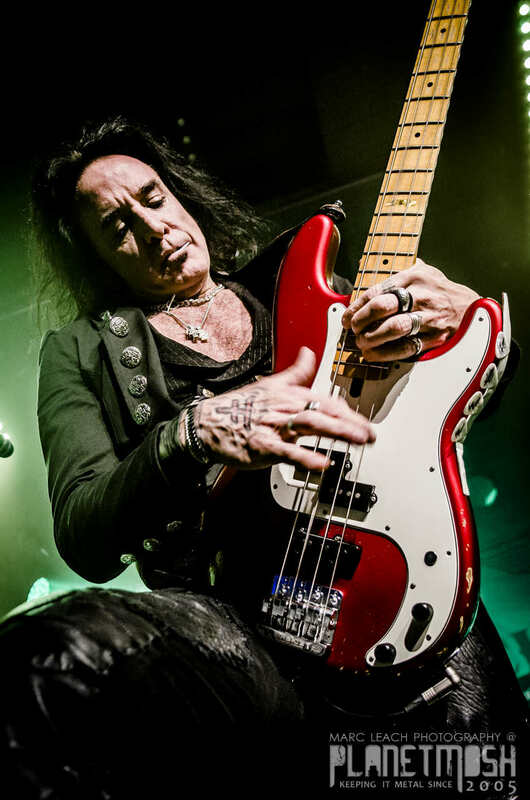 Clearly he brings tonnes of talent with him, so we are very happy with him and he has become part of the Dead Daisies family. One thing which has been a characteristic of both the three albums to date, and your live shows, has been the inclusion of some pretty rad cover versions: I love your interpretation of ‘Fortunate Son’ on ‘Make Some Noise’. Why do you do it, especially when you are all such talented songwriters in your own right, and what influences your choice of covers, and how you interpret them? The answer is pretty simple: we are big fans of great music and great songs, and songs that can endure the test of time. Also, we are BIG FANS of CCR, music that came from that 70 s era. For some reason, while we are at rehearsals or sound checks, we start talking about this song and that song, and sometimes we just start playing them on the spot… The ones that we all agree on are the ones we decide to record. Also there’s a few generations of fans that were never exposed to that time in music, so we dig representing FLYING the FLAG and reintroducing some music from that time. Looking forward to your (very) imminent shows, the band, both collectively and individually, are very regular visitors to these shores. How important is it to you all to play the UK – especially, as in the past, the bands you played in did so in big arenas and now you’re getting down and sweaty in clubs? At one point we were talking to management about the importance of getting into clubs and building a fan base that way, as well as playing the big venues like we have, and the UK is defintiely one of those places where the fans like to see what we got in an intimate way… then they become fans for a while. But, also, we are a band that loves to perform anywhere anyhow anytime you know? Without being pretentious, we know what we got and we want to bring it to as many places possible! On this visit, you’re also playing three festival shows – including two in one day. Apart from the logistics of getting between the two sites, does this place any extra pressure on you? Well, personally, I have been doing this for quite a while and I can only say it adds to the excitement of it all, when you have to deliver no matter what the circumstances. We are looking forward to it! 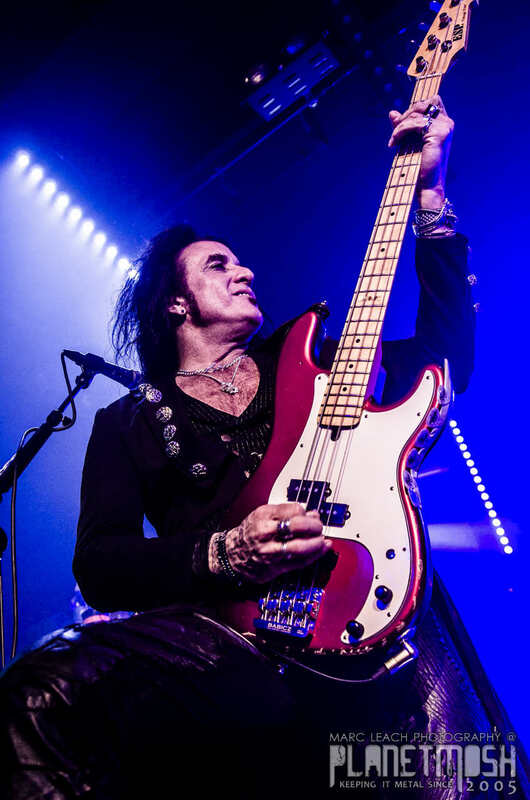 I want to turn briefly to one gig in particular, and that’sThursday’s show at the Limelight in Belfast… It’s a venue you’ve played three times – as a solo artist, in the dying days of Thin Lizzy and during your time in Black Star Riders. On the last occasion, the support act was a certain Dead Daisies: are you looking forward to coming back over here, and do you have a feeling of things turning in circles? That’s it!! In the music business, things change so quickly sometimes it blows your mind, but I have been very lucky to have played with such great bands and projects that brought me to Ireland so many times that i just enjoy the ride you know, and every project is as important as the others. But coming back to play the same venue and city with a different project is always a blast. I’m hoping to come back to Ireland next year with my solo project, depending on the schedule with The Dead Daisies. Apparently, the bar have stocked up on Guinness for Doug and whiskey for Jon: have you got any last minute order for them that they need to be aware of? Not really. I’m the sober guy, and have been for 28 years now: so maybe a Red Bull or two? Milk and cookies? That’s me. After Belfast, you head over to the festivals we talked about above, and then another couple of club shows before finishing off this part of your touring schedule… because you’re going to back in the Autumn, for a co-headline tour with The Answer. But, in between you have the small matter of a US support slot with some band called Kiss… which will be more challenging? Like I said, it all depends on the audience, and in my opinion smaller venues sometimes require a bit more from you… But having said that, it’s pretty consistent with The Daisies – without being arrogant – because we know how to have fun and put on a great show! After that, what’s next for The Dead Daisies? Or is that up to the fates? Well only time will tell. We are doing everything possible, from management to marketing and promotion to working on the best shows and the best music we can possibly produce. The line up alone is slamming, so it’s up to the fans now: the only way to continue is support. I feel really positive about it… The response so far has been over the top! So, TO THE MOON ALICE!!!!! Why not? ‘Make Some Noise’ is released via Spitfire/SPV on 5 August. Live photographs by Marc Leach and Sean Larkin.